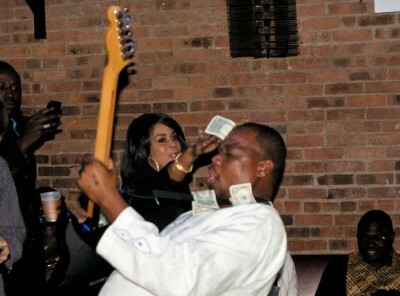 Their sound is live and bound to get you moving and dancing all your troubles away. This band has been known to perform across the Sahara, playing five-hour sets seven days a week, so we imagine there will be no lack of energy at this show. Joining Tal National on Feb. 9 will be Brooklyn Afro-funksters Kaleta and Super Yamba Band, fronted by legendary Afrobeat veteran Leon Ligan-Majek, A.K.A. Kaleta. Kaleta is a skilled composer, singer, guitarist, percussionist and producer whose music is informed by his roots in Benin and Lagos, Nigera, the birthplace of Afrobeat. Here’s your chance to win a pair of tickets to this lively performance! All you have to do to enter is sign up for our newsletter here and send an email to info@afropop.org with “Tal National 2018” in the subject line. If you’ve already subscribed to our newsletter (thank you! ), just send an email to info@afropop.org. Good luck! 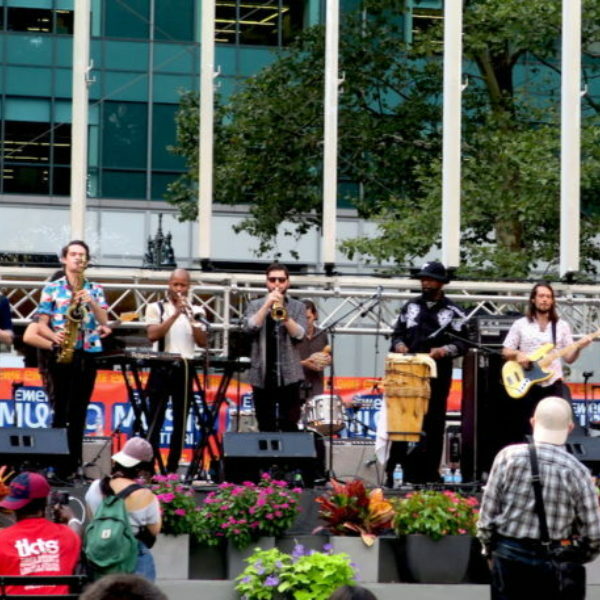 Brooklyn Afrobeat group Super Yamba Band made the long journey across the East River to Bryant Park in Manhattan to play the third annual Emerging Music Festival on Sat., Aug. 19.